If you can help Quincy K-9 Connection defray any of Skippy's medical costs (full story below), please use the donate button to the right. Make sure to notate in ​the "Special Instructions" section, "For Skippy." ​All donations are tax deductible as permissible by state and federal laws. 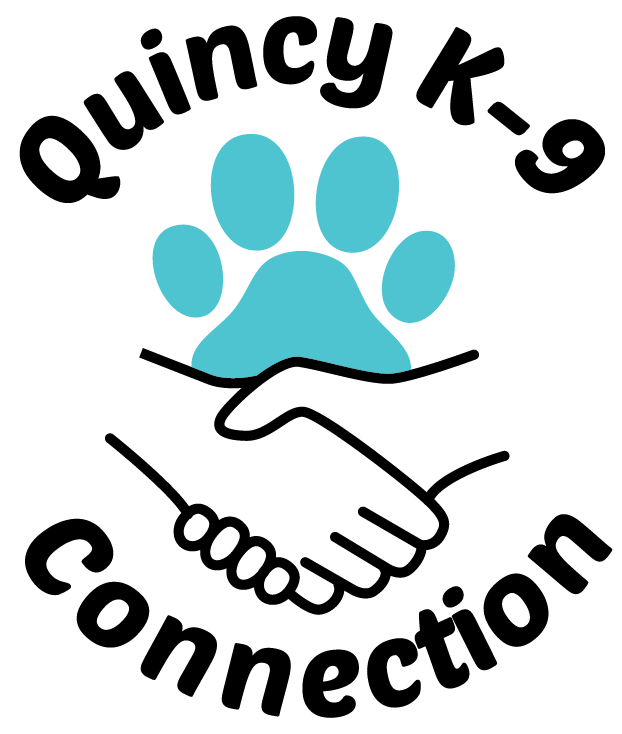 QK9C is a 501(c)3 registered charity. Skippy's Story: We received an emergency call from a lady a couple weeks ago asking for help for her dog Skippy. The lady formerly fostered for another rescue. Apparently, her other dog went after Skippy and had him by the throat, then her other 2 dogs joined in. She finally got Skippy away from the other dogs and called us. Being after-office hours, and living in a remote area, no vets were available. We advised her to get Skippy to the University of Missouri as fast as she could. The owner called from there and we talked with the vet, discussing Skippy's prognosis. Neither she nor we could afford to keep him at the University while waiting until a soft tissue specialist could see him. The University vet did what she needed to do to make Skippy comfortable and able to travel. The owner brought Skippy to one of our vets the next day. This vet did "sugar bandaging" (which requires a daily change of bandages) and loaded him up with lots of medications for a severe infection. Skippy has now been at our vet for approximately 2 weeks and is on the mend. We don't think there will be any permanent damage. The muscles should be okay but due to the swelling, we will have to wait to know for sure. NOTE: As you can tell from the pictures and letter above, the family loves Skippy so much. As hard as it is, they have all agreed that re-homing Skippy is the best thing to do for him. They don't want to take the chance of this happening again. Trying to keep their dogs all separated would not be easy. Plus, it wouldn't be fair to Skippy to live his life being isolated from the rest of the gang.